Ward Charcoal Ovens Historic State Park is a road tripper's & American dream stop. Here's your guide to visiting the park and where to stay while there. Most road trippers know about the popular RVing destinations like the Grand Canyon, Niagara Falls, and Yellowstone, but you’ll need great places to try once you’ve knocked out those majors. 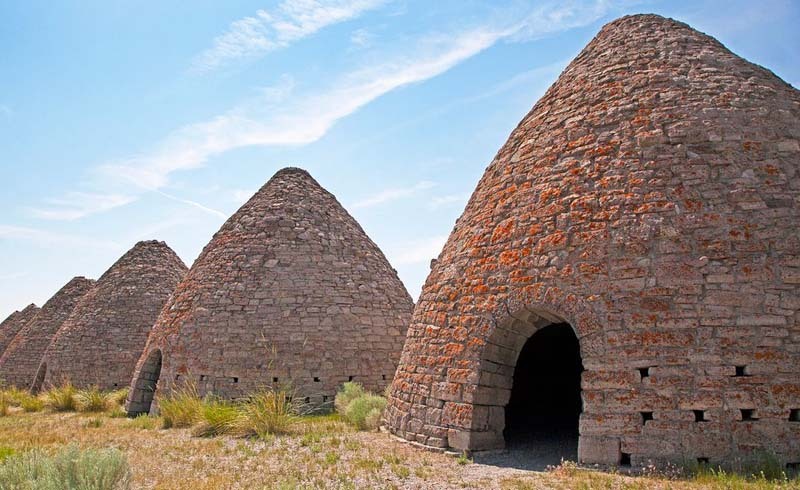 If you’re road tripping the American southwest and need a unique place to go, head to the unique Ward Charcoal Ovens Historic State Park. Utah may be known as the Beehive State, but the unique beehive shaped ovens found in neighboring Nevada are a worthy stop for any RVer. Eastern Nevada has been a destination for silver mining since the 19th century, and although the silver mines aren’t in operation anymore, the historic beehive-shaped stone ovens used to process the silver still remain. The ovens at Ward Charcoal operated between 1876 and 1879 and are a beauty of 19th-century engineering. After the silver rush, the ovens were used as a shelter for travelers and bandits and are now on display for everyone who finds themselves in Eastern Nevada. At over 300 feet high, the ovens are one of the unique pieces of the American southwest. The area surrounding the park has been developed for many other outdoor-based activities, making this park an all-around fun experience. Checking out the historic ovens is your primary duty at Ward Charcoal, but there’s much more to do. The ovens are leftover reminders of the area’s silver rush that served the nearby mining town (now ghost town) of Ward. Once you get your fill of the ovens, you can try hiking, backpacking, or biking the area to explore. East Nevada is home to volcanic tuffs hundreds of feet high, which were used to construct the ovens. You can gaze at the snow-capped peaks, fish at nearby Willow Creek, or enjoy flora and fauna like sagebrush, wildflowers, jackrabbits, badgers, coyotes, and more. Several miles of trails ranging from easy to strenuous can lead you through the park. Although there’s plenty to do in park boundaries, you may want some variety. If you’re near Ward Charcoal Ovens Historic State Park, you’re also near Great Basin National Park. Great Basin is known for sage-covered slopes, ancient bristlecone pines, and an underground cavern system. There are plenty of great hiking and biking trails and a host of other activities to enjoy at Great Basin. The entire park is watched over by 13,000-foot Whitney Peak. Great Basin is a popular park among amateur astronomers. The lack of artificial light interference and dark skies make it a great spot to look for your favorite constellation or spot a shooting star. If you’re a history buff, you can tour the many ghost towns and history behind the abandoned silver towns in the area. Popular attractions include the Nevada Northern Railway Museum, Ely Renaissance Village, and the White Pine Public Museum. If you want the best setup and the most action, you can camp directly in the park. While the park only has two large pull-through spaces, there are a dozen other spaces for small to medium-sized RVs. Ward Charcoal Ovens doesn’t come with any major hookups, but there are vault restrooms and a potable water tap you can use to refill your tanks. There may not be much in the way of amenities, but camping in the park provides the most direct access to its unique features. If you prefer amenities to proximity, you can try nearby Ely KOA. There’s plenty of great amenities and features you’d expect from as established KOA campground, including large open sites, bath and laundry facilities, full hookups, propane refill, and more. If you need to keep the kids or yourself busy at the site, there’s year-round fishing, a dog park, basketball court, horseshoes, volleyball court, movie cabin, and more. The Ely KOA provides a great locale for visiting Ward Charcoal Ovens Historic State Park and plenty of other nearby tourist spots. Ward Charcoal Oven Historic State Park is one of the more unique parks in the country. After all, how many parks can claim giant stone ovens as their most prominent feature? 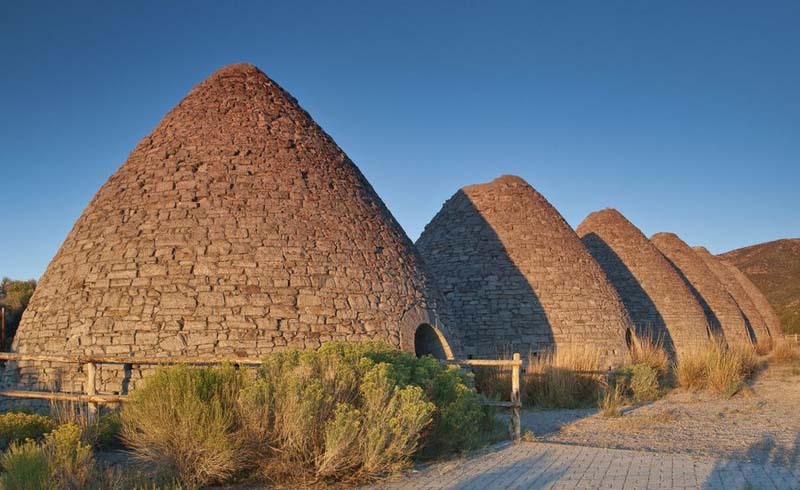 If you find yourself in Nevada or need something fresh in the west, try the unique sights of Ward Charcoal Ovens Historic State Park and the eastern Nevada region.